The general arc of a companion’s introduction on Doctor Who is pretty much the same each time. They have their “bigger on the inside” moment, they do a bit of space-time travel, and then they learn that running around in a Police Box spaceship can be quite grim. With newcomer Bill, Doctor Who is back in that swing—but it hasn’t done it this well in a very long time. This week’s “Thin Ice” was the “learn that running around in a Police Box spaceship can be quite grim” part of Bill’s education, as she was forced to confront the sort of deadly adventures the Doctor often finds himself on. Seeing a death is usually a harrowing point of no return for many Who companions, but Bill happens to see a young boy sucked below the iced-over surface of the Thames in the last great London Frost Fair of 1814 by a seemingly sinister monster. It’s a particularly harsh reminder of the danger she faces at the Doctor’s side. The scene of the Doctor’s frosty attempt to move Bill on from the tragedy is another example of Peter Capaldi and Pearl Mackie working perfectly together, but it’s also a moment of rare contemplation on Doctor Who, even if it’s ultimately wrapped up in the familiar frame of a companion learning of the Doctor’s dark past. This was perhaps the most involved the show has been in showing a companion’s reaction to death in quite some time, and it worked so well dramatically because instead of the usual quick acknowledgment (followed by running down corridors perfectly fine mere moments later), there was time given to actually let Bill process it all. Doctor Who, despite being a show about time travel, rarely allows for such moments as it bounds across its perpetually-just-too-short 45-minute runtime to an explosive conclusion every week, so to see it actually stop and acknowledge the bleakness of it all was quite refreshing. And yet, at the same time, “Thin Ice” was also an immensely fun episode despite the darker material it played with, which is why it worked so well. From Bill and the Doctor’s growing banter as they debated the butterfly effect and time travel in the episode’s opening (RIP Pete, we hardly knew ye) to the happy ending for the street urchins on the Thames getting the legal rights to the villainous Lord Sutcliffe’s home, writer Sarah Dollard’s script was adeptly nimble at knowing when to go in for an emotionally powerful scene or knowing when to just have a laugh instead. And in Capaldi and Mackie, Who has two leads right now who are just as good at switching between either tone. 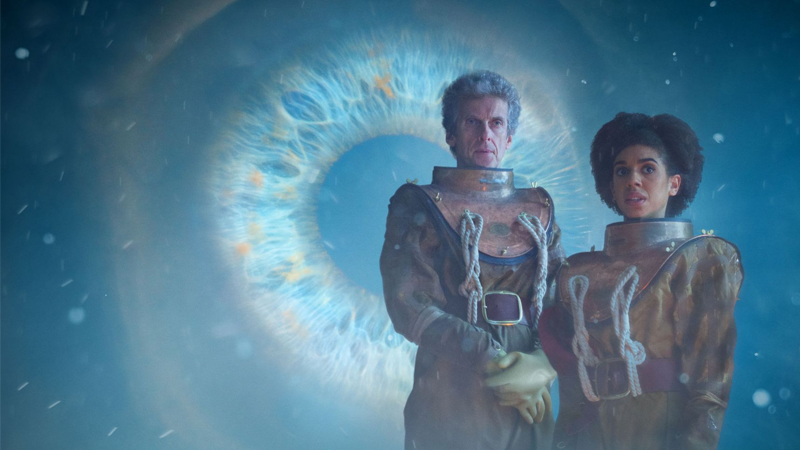 Doctor Who is at its very best when it balances its darkness and humor, and “Thin Ice” was a perfect example of that. Contrast the joke the Doctor and Bill have about history being whitewashed when they encounter a diverse Regency-era London populace to the Doctor’s sedate, yet barnstorming speech about privilege and race when cornered by the man behind the monster of the week. Contrast the Doctor’s callous attitude to moving on from death by telling Bill he has “no time for outrage” to him, in a fit of hypocritical outrage, decking Lord Sutcliffe instead of trying to charm some answers out of him in a moment of comedic joy. This was an episode as much about acknowledging the dark side that comes with traveling with the Doctor as much as it was about liberating a trapped alien creature who’s poop was being used as fuel for the industrial machine, and having a laugh while doing so. That mix of tragedy and comedy is the two sides of the weird coin that is Doctor Who, really. And if season 10 can carry on balancing those aspects as well as it did here, this could shape up to be one of the better runs on the show there’s been in a few years. 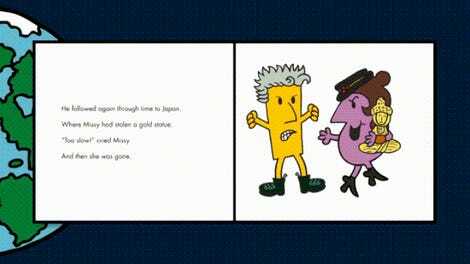 The Doctor punching the horrifyingly racist Sutcliffe was definitely fantastic, but a better proposal courtesy of Peter Capaldi himself: He really should’ve used Venusian Aikido instead. This episode continued to prove my belief that Doctor Who can always be improved tenfold by pointing Peter Capaldi in the direction of a speech. And that was already on top of this episode being great already! So more mystery of whatever’s trapped in the vault—or seemingly, because of all that knocking, who. The implication appears to be a hint of John Simm’s Master, who we know is coming back, but going back and re-watching the last scene again, the knocks come in three-round bursts, rather than the staccato tap-tap-tap-tap that symbolized Simm’s incarnation. So maybe it’s an aural red herring, who knows?